The Australian Open has just crowned two new tennis champs, as Novak Djokovic and Victoria Azarenka captured individual men’s and women’s titles, respectively, over the weekend. The No. 1 ranked Djokovic outlasted Andy Murray in the final, with a 6-7 (2), 7-6 (3), 6-3, 6-2 victory. The first two sets were hotly contested, lasting over two hours, but Murray seemed to wear down at that point, and Djokovic was able to pull out the win. 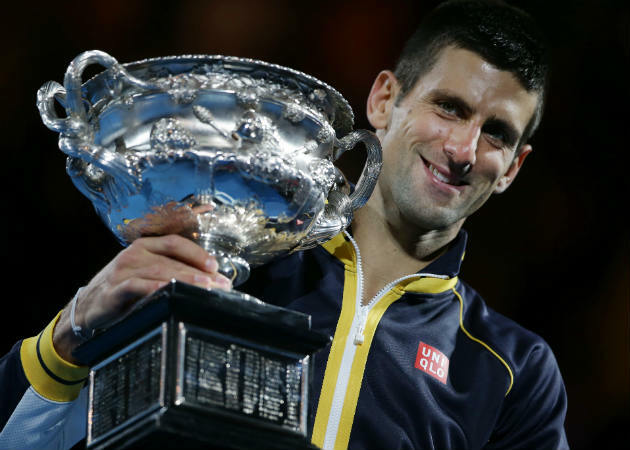 Djokovic made history with his victory, becoming the first man in the Open era to earn three straight Australian Open titles. With six Grand Slam titles now to his name, Djokovic should continue to move up the list of all-time tennis greats, as he will not turn 26 until later this year. One of his main goals is undoubtedly capturing his first French Open title this spring, as it has eluded him previously. Azarenka defeated Li Na by a margin of 4-6, 6-4, 6-3, winning her second consecutive Aussie title over the Chinese great. The 23-year old from Belarus defended her world number one ranking in the process, and earned her second career Grand Slam title. The match experienced several delays, including a 10-minute break because of a fireworks show in Melbourne for Australia Day. Li also twisted her ankle twice, and had to receive medical attention after hitting her head after falling to the court. Her next challenge will be winning another major this year, further cementing her as the finest women’s tennis player on the planet. This entry was posted in Sports News, US Open Tennis Tickets and tagged australian open, tennis by promc58blog. Bookmark the permalink.